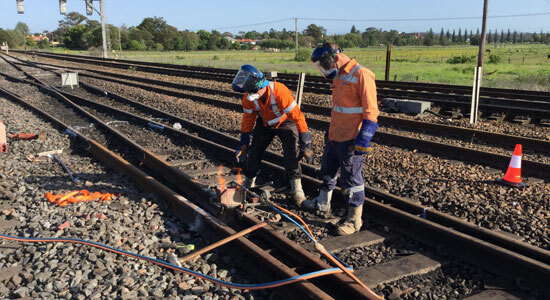 Complete Asset Management Pty Ltd (CAM) was established in 2008 to provide specialised workforce to the Australian Rail Industry with a reputation for safety, quality, reliability and peformance. The company builds on over 51 years combined experience in rail construction, maintenance and labour hire. CAM reputation for quality performance is built on a core of values of integrity, safety, reliability and hard work. We maintain a high performance and safety culture throughout the organisation to deliver outstanding results for our clients and opportunities to continue for our staff.Our teams are lead by qualified and competent supervisors who bring extensive experience and safety focus to everything CAM do, followed by complete onsite support from Senior Management. "To create long term relationships with clients, suppliers and most importantly out employees"
CAM Director and Senior Management are involved in a hands-on approach for leadership, support and ground support onsite. Beginning with a comprehensive project analysis, our management team takes a proactive approach to the overseeing of planning for all minor and major projects. The successful delivery of our projects is a testament to our management teams knowledge and practical understanding of the elements critical to the success. Management experience and knowledge ensure quantification and their cost management enhances the design and documentation process to ensure our clients expectations of budget control and value can be met within time frames for each project. CAM vision is to become a major provider to the rail industry, delivering excellent service to our clients and providing opportunities and a place where everyone wants to work. CAM's record breaking results are directly attributed to the combined efforts of our competent workforce. CAM source the best personnel and provide them with opportunities and support to develop their individual skills. Our "One Team" approach and culture of safety and excellence is proudly demonstrated by all personnel, who look out for each other and are committed to achieving their personal best and continue to deliver outstanding teams. We support our workforce with Nationally Recognised Training and we broaden their knowledge and skills through dynamic team environment, onsite training and mentoring system. CAM are committed to increase employment opportunities for Indigenous Australians, whilst recognising and respecting the history and culture of the Indigenous Australians. Cam workforce is extraordinarily diverse, with over 75% of our workers being from Aboriginal descent, with numbers increasing due to new training programs. CAM maintain a SAFETY FIRST culture throughout the organisation to deliver outstanding safety results on all sites worked by CAM. We combine local knowledge and expertise with access to information, communication, technology and human resources to ensure all employees on site are safe.